Rational Emotive Behaviour Therapy (REBT) encourages the client to focus on their emotional problems in order to understand, challenge and change the irrational beliefs that underpin these problems. REBT can help clients to strengthen conviction in their alternative rational beliefs by acting in ways that are consistent with them and thus encourage a healthier outlook. This accessible and direct guide introduces the reader to REBT while indicating how it is different from other approaches within the broad cognitive behavioural therapy spectrum. Divided into two sections; The Distinctive Theoretical Features of REBT and The Distinctive Practical Features of REBT, this book presents concise, straightforward information in 30 key points derived from the author’s own experience in the field. 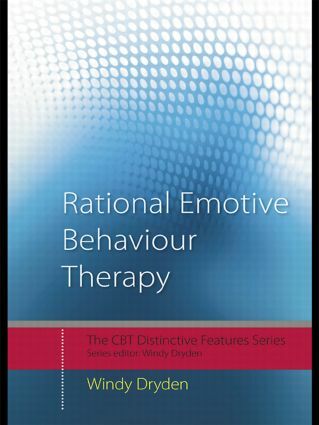 Rational Emotive Behaviour Therapy: Distinctive Features will be invaluable to both experienced clinicians, and those new to the field. It will appeal to psychotherapists and counsellors, together with students and practitioners who are keen to learn how REBT can be differentiated from the other approaches to CBT.